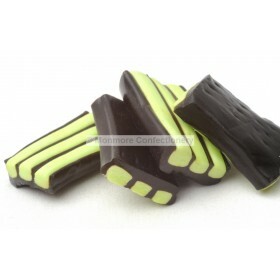 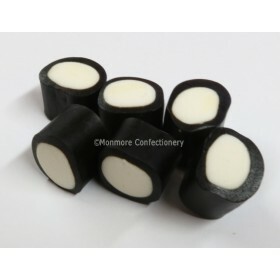 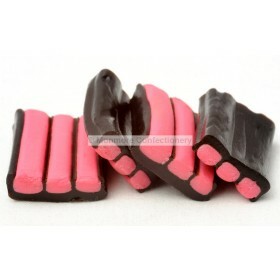 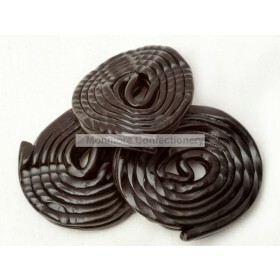 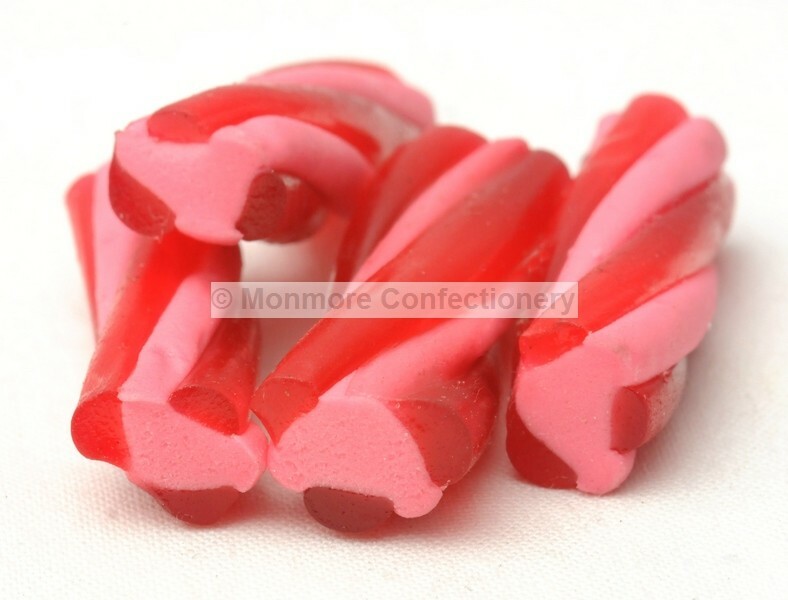 Cherry flavoured twisted soft liquorice striped sweets. 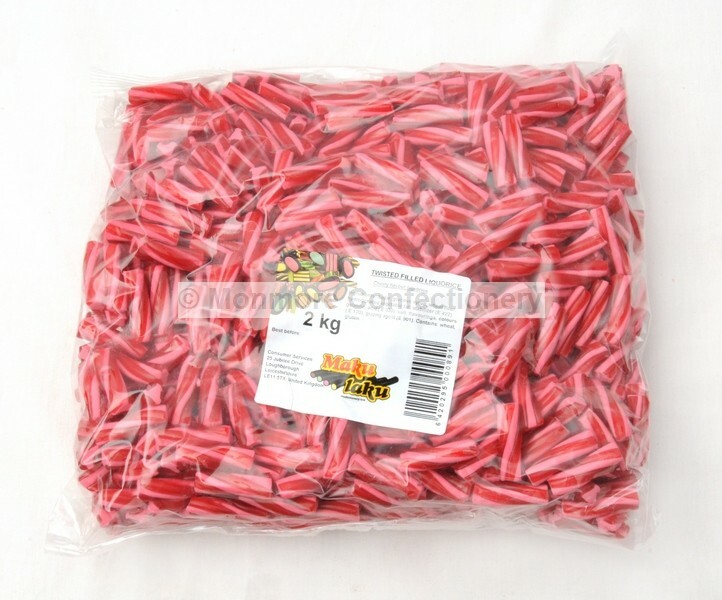 Ingredients: Sugar, Glucose Syrup, WHEAT Flour, Hydrogenated Vegetable Fat, Stabilizer (E422), Gelatine, Acid (E330), Salt, Flavourings, Colours (E120), Glazing Agent (E901). 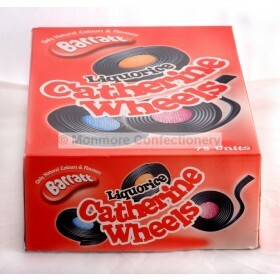 Allergy Advice: Contains WHEAT and GLUTEN.